Kalmar, part of Cargotec, has won a significant order from its long standing customers Sociedad Portuaria Region de Cartagena S.A. (SPRC) and Terminal de Contenedores de Cartagena S.A. (Contecar) in Cartagena, Colombia. Both terminals are owned and managed by Port of Cartagena Group. 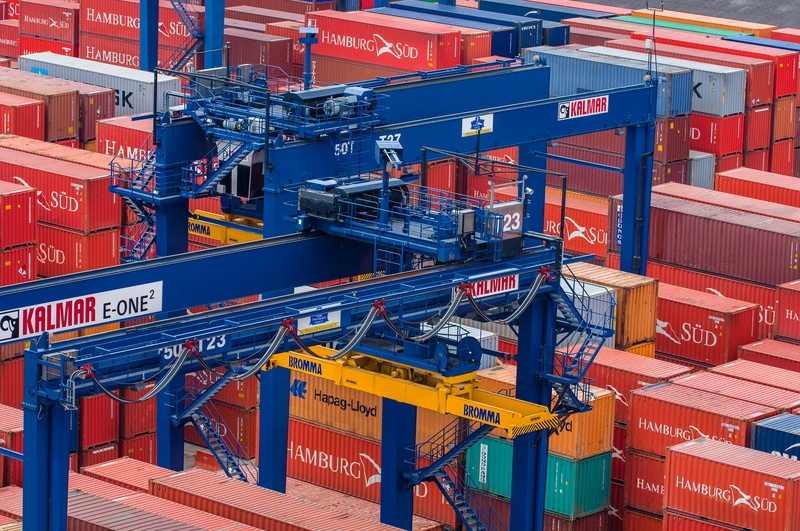 The order includes a total of 23 rubber-tyred gantry cranes (RTGs) and 79 Kalmar Ottawa T2 terminal tractors. Kalmar will deliver five RTGs and 9 terminal tractors to SPRC and 18 RTGs and 70 terminal tractors to Contecar. The total value of the order is approximately EUR 45 million, and the order has been booked into Cargotec's 2015 third quarter order intake. The deliveries will take place between July and December 2016. 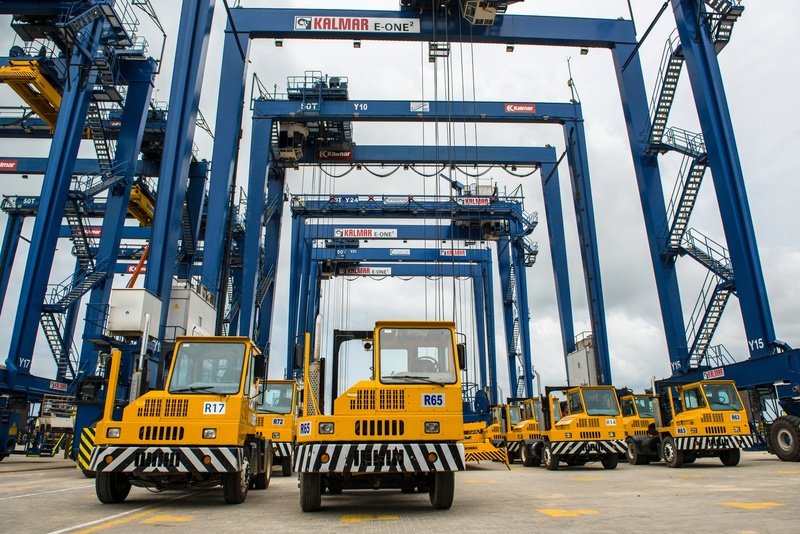 SPRC and Contecar have a long partnership with Kalmar, with an existing fleet of two ship-to-shore cranes, 49 Kalmar E-One2 RTGs, 92 terminal tractors, 22 reachstackers and two lift trucks in operation at their terminals. 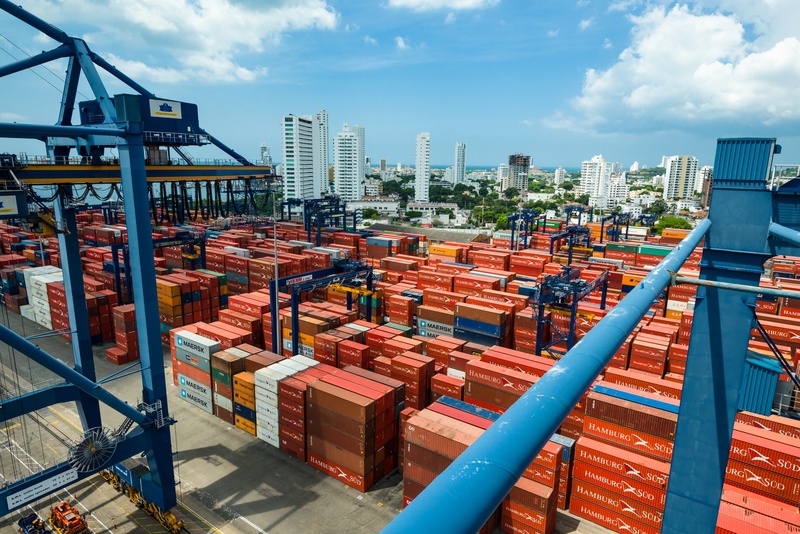 The latest order is part of SPRC and Contecar's master expansion plan, in keeping with their growing throughput and further enhancing their position as the leading terminals in the Caribbean region. 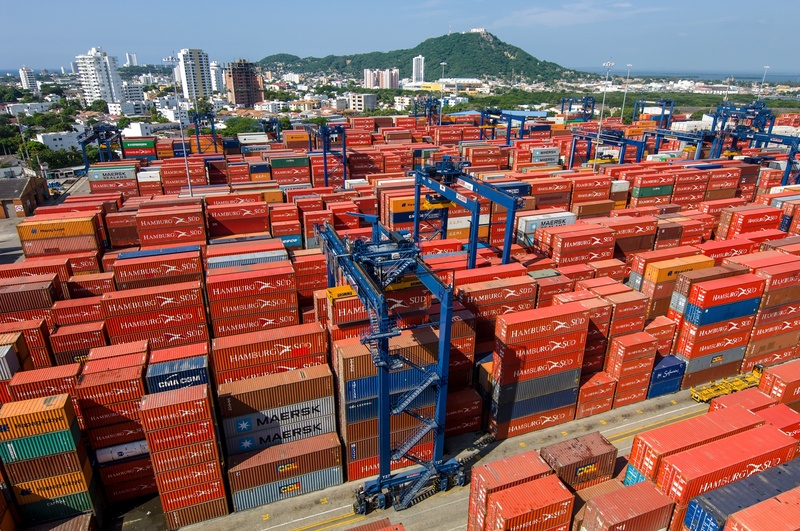 From their current volumes of 1,400,000 and 3,200,000 TEUs annually, the terminals are anticipating a rapid growth of 5 to 7% at SPRC and 8 to 11% at Contecar over the next five years. Eduardo Bustamante, Operations Manager at SPRC and Contecar commented; "Our relationship with Kalmar dates back to 1997. With a proven record of true partnership and an order of this scale, there was no one else we would rely on. Our main challenge over the next few years is how to manage the rapid growth while remaining focused on serving our customers during the transitions resulting from growth. Kalmar has support us as a reliable partner consistently delivering value through quality products and support. We expect to continue to achieve improved levels of productivity at lower operating costs with Kalmar equipment. We are also considering partially automating our RTG operations, so Kalmar, being the leader in this field, was a natural choice for us." Kalmar is providing SPRC and Contecar a specially designed battery powered electrical air conditioning system for terminal tractors to improve the operator environment and reduce the impact on the environment with lower emissions and reduced noise. The expected saving in fuel costs is 30%. The terminals will also implement Kalmar SmartPath tracking system on the new terminal tractors after delivery. Kalmar SmartPath improves efficiency by using location-based job assignments. Equipment is automatically assigned to the closest job, which reduces driving distances and fuel consumption, and speeds up the operations. Dan House, Managing Director, Latin America, said: "SPRC operates with one of the largest Kalmar RTG fleets globally and this agreement further demonstrates the importance of long-term partnerships where continuous support remains paramount in maintaining efficient terminal operations. The RTG cranes will come prepared for future remote control and semi-automation features, which will be added in the near future. We are also delighted that SPRC and Contecar chose the new generation Kalmar Ottawa T2 terminal tractor, which was introduced to the market last year. This is the largest single order for T2 in South America."